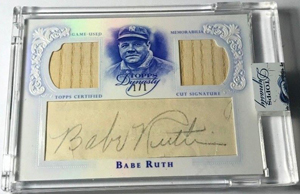 The theme for this month appears to be Cut Signatures. 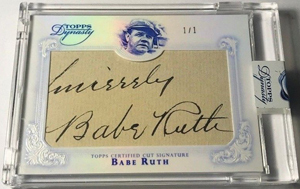 Babe Ruth has exactly two cards in 2015 Topps Dynasty, both of which are 1/1s. 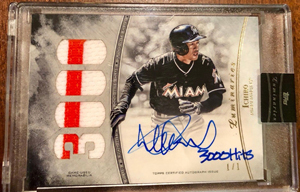 I thought it was interested that both were sold this month by the same seller. 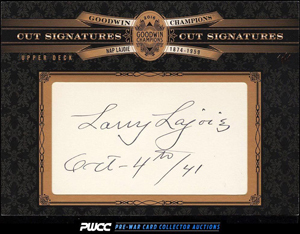 The Nap Lajoie is a unique one in that it's a jumbo 1/1 Cut Sig. 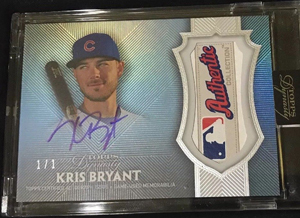 Kris Bryant comes in at #10 with a strong number of bids, which indicates his cards are still performing exceptionally well. 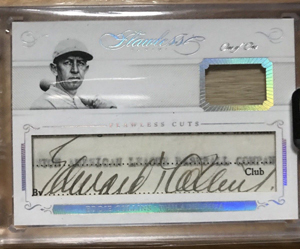 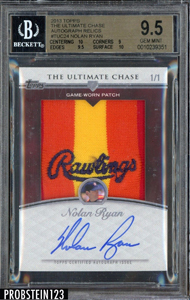 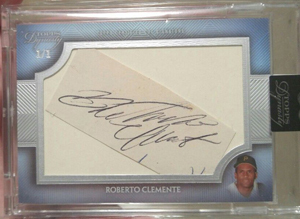 Let's have a look at what made the 1/1 list this month.